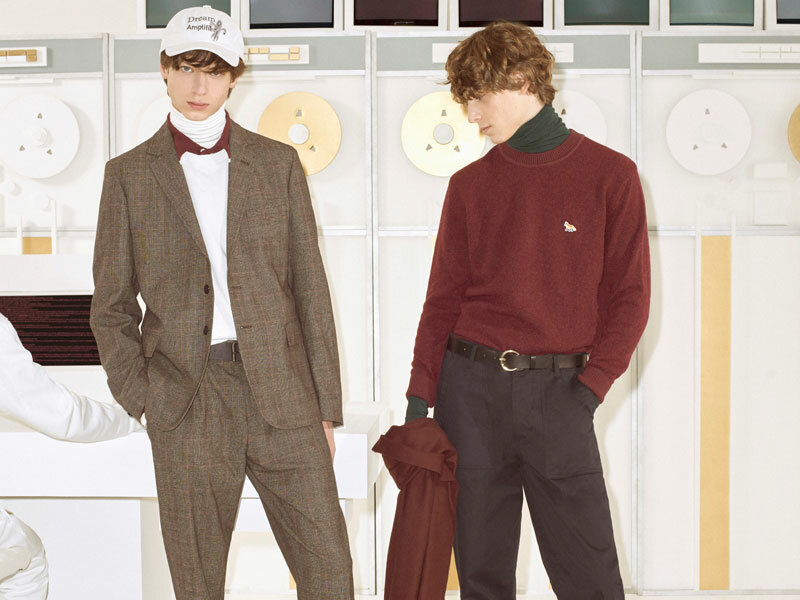 Brand new to Stuarts London this Fall Winter comes Maison Kitsune, a Parisian brand that trades in playful French style, Read on to learn more about the retro-cool label. Maison Kitsune is a Parisian contemporary fashion and music label; founded by Frenchman Gildas Loaec – the ex manager of Daft Punk, and Japanese architect Masaya Kuroki back in 2002. 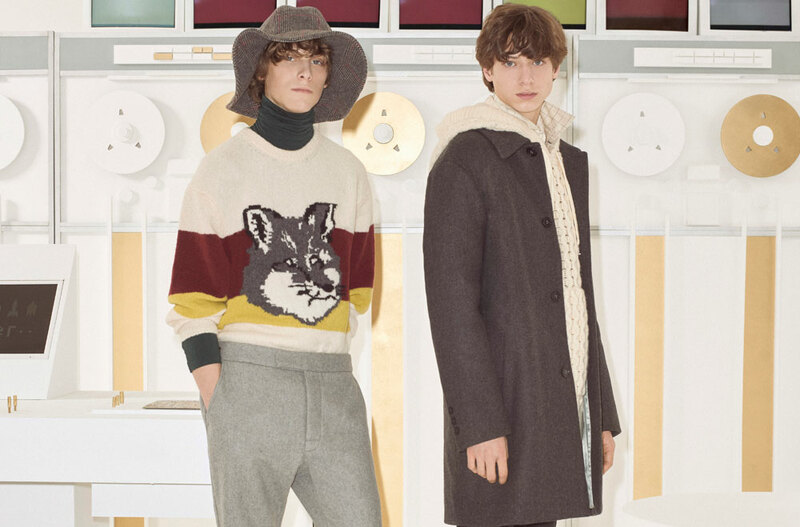 Maison Kitsune seasonally creates a full range men’s clothing that usually revolve around the idealism found in minimalist Parisian designs; with vibrant prints and embroidery featuring prominently. The unorthodox Parisian label have previously collaborated with some of the biggest names in fashion, leaving their mark much further afield than Paris. 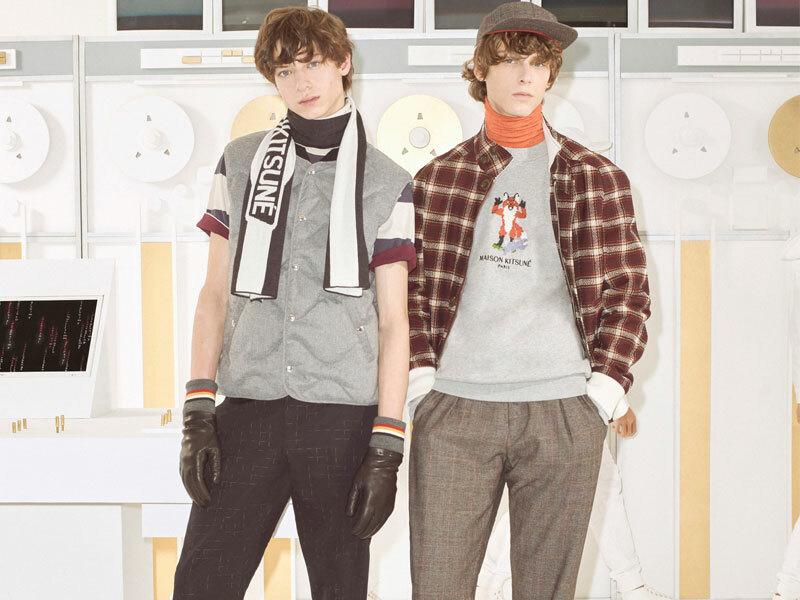 The Maison Kitsune FW18 collection is inspired by the early days of computer programming with simple and chunky graphics being a mainstay. A sly house fox and jejune rabbit are the stars of this collection, both recreated in a faux lo-res format nostalgic of the early computing days. The two pixelated mammals are found on a variety of knitwear, sweatshirts and T-Shirts. Cartoonish graphics make a showing on almost every piece, populating the collection with humorous odes; from camouflage prints to button down shirts. If you find yourself eagerly avoiding fads to find your own variety of normal, look no further than Maison Kitsune’s orthodox/unorthodox collection; the collection aims to appeal to all ages; regardless of all its polish. In other FW18 news, Sergio Tacchini have just released an archival collection full of 1980’s cues, Click here to find out more.